If you are looking for indoor light fixtures that are both beautiful and versatile, mini pendant lights are exactly what you need. 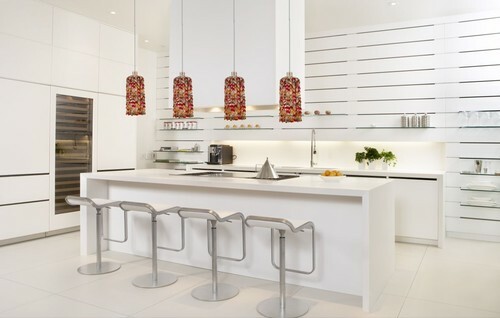 Mini pendants can function as decorative accents as well as task lighting. Because of its small size, they can be mounted in small spaces in singles or twos, but they can also be arranged in larger sets for bigger spaces to form a constellation similar to a chandelier. You can even mix and match mini ceiling pendants with different colors and designs for a more interesting setup. Whatever your interior décor is, there is a mini pendant designed to fit in your space. Mini pendant fixtures are great lighting for almost area in your home – kitchen, dining room, living room, hallway, foyer, bedroom, study, and even in the bathroom. Different moods can be set with a dimmer switch. 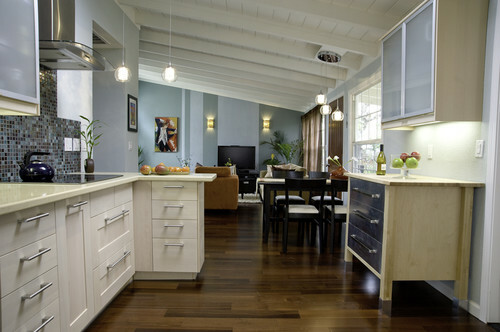 Another great thing about mini pendants is that they use more energy efficient light bulbs such as LEDs and CFLs. Compared to traditional incandescent light bulbs, LED and CFL bulbs have longer life spans, are able to save more energy so you save more on your electricity bill, and are available in several different colors. So how do you choose the best mini pendant light fixture for your home? Here are some basics about mini pendants that you should know about so you do get the ones that will provide excellent lighting and impressive style for your space. Mini pendant lights are available in so many different styles, shapes, and color that you can imagine, so get ready to have a blast while shopping for some pendant lighting. From contemporary styles with plain colors and clean lines to more ornate designs that depict traditional and transitional pieces. They also come in several finishes, such as steel, copper, chrome, bronze, satin nickel, wood, and gold. You can choose a finish that will either complement or contract with your décor. A mini pendant light’s style and finish is further enhanced by a pendant shade. And there are many different variations of shades as there are pendants, so prepare to be overwhelmed with options, options, and more options. There are shades made of fabric, glass, and metal. Colors range from neutral whites, beige, gray, and black to bold assorted ones. There are shades that come in prints and patterns that can complement your furniture, wall, and other interior décor. Mini pendants are those whose maximum size in diameter is 12 inches. As mentioned earlier, the smaller size of mini pendants is what makes them very versatile. They can fit in smaller studio units and rooms around the house where chandeliers and even ceiling pendants cannot be installed. With mini pendants, even smaller spaces are given the elegance and sophistication given by hanging lights that may not have been possible. Remember that you are not confined to one single style. If you are mounting three or more mini pendants, you can be as creative as you can get and mix and match different styles and designs as long as the combination fits the rest of your décor.